Other than a good pattern, fabric is pretty much the most important part of any sewing project. The biggest question I get from my students before every sewing workshop is what kind of fabric they should get for the class, it can be so overwhelming when looking at all of your options. 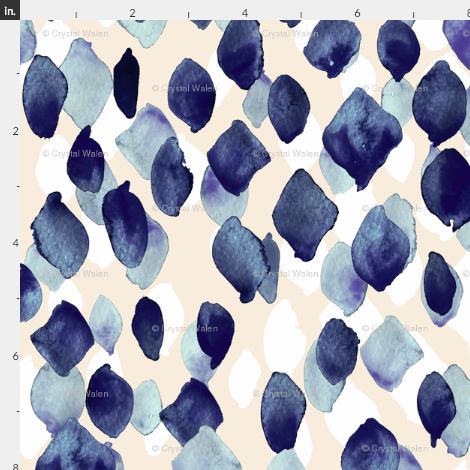 So I decided to take the work out of guessing and partner with Spoonflower for my next sewing workshop to give all the students fantastic fabric to make their first Montlake Tee. 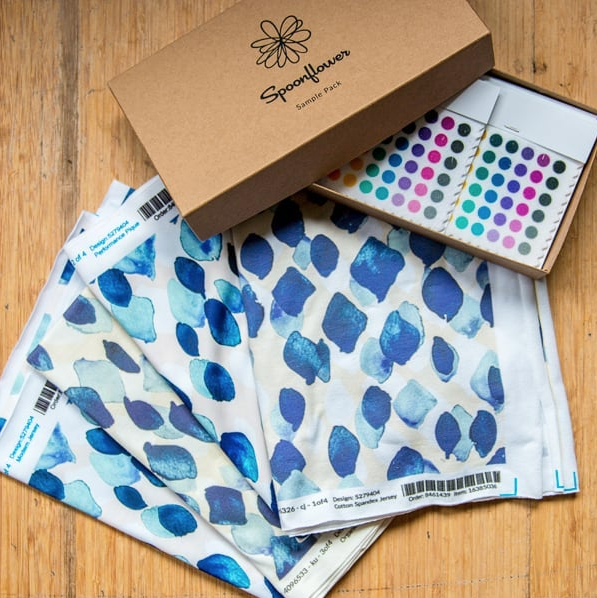 I didn’t realize when first reaching out to Spoonflower that they are the first company of it’s kind and have been a part of the maker community since 2008. Their dream has been to empower individuals to create, print and sell their own artwork on fabric, wallpaper and gift wrap. With over 750,000 designs available there is no shortage of options for your next sewing project. While I haven’t really thought about designing fabric, I got inspired by all of the designs so who knows maybe it is something I will try in 2019. 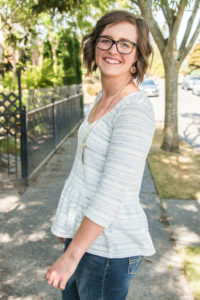 If you aren’t familiar with my Sewing Workshops I host here in Seattle you can read all about them here. I really strive to make the time we are together feel like being part of a community where you can relax and enjoy learning from and spending time with other makers, so Spoonflower seemed like the perfect partner for my next Montlake sewing workshop. What is so fun about this workshop is that the fabric is included in the class so not only do you get 5 hours of instruction from me, the paper pattern, lunch and snacks throughout the day but you also get yardage from Spoonflower in their Modern Jersey in the choice of one of the three designs below. Since so much of my business is focused on the Pacific Northwest I wanted to choose some fabric designs that would really convey that feeling without being too on the nose. After looking through many designs I found Indigo Rain by Crystal Walen and knew it had to be one of the fabric choices for the class. I mean the name alone screams Seattle. 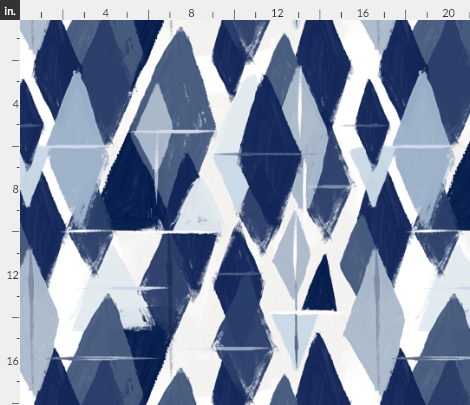 The second fabric to choose from for the class is Painted Triangles from the same collection, since it reminded me of the mountains we are surrounded by. 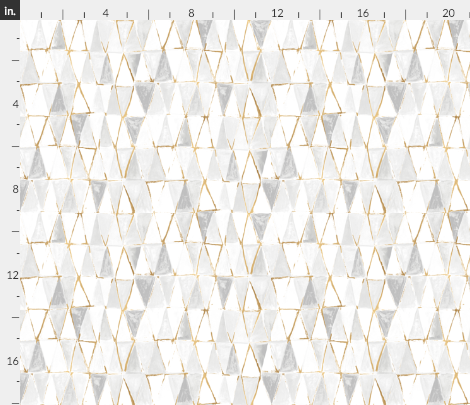 The third fabric to choose from is Abstract Diamonds which also conveys mountains and nature but in a very different way. I think all three of these designs are going to be great options for the Montlake tee. I am going to be sewing up a shirt before the class and I had a heck of a time choosing which of the three fabrics to choose from. Now for those of you who aren’t here in Seattle and can’t take the workshop I actually have a coupon code for you. You can save 10% off your order with code stitch10, so head over and check out the amazing designs you have to choose from. And if you can’t decide on a fabric you could always try out this super cool option of filling a yard of fabric with different designs!! How cool is that!